that I’ve put together just for you. 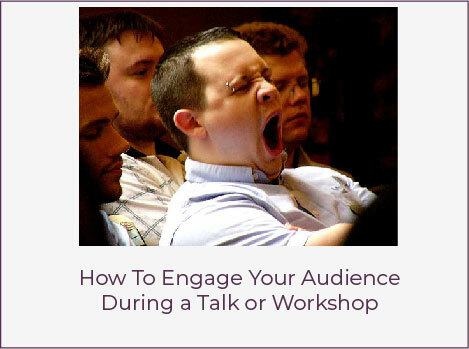 …and I help you engage, encourage, and empower your audiences. I believe that everyone, yes YOU TOO, can stand up and lead engaging interactive workshops, talks, and retreat sessions. You have expertise and knowledge that others want, need, and are willing to pay for. You can create raving fans who love your sessions, refer you to others, and come running back for more of what you have to offer. Everything you’ll learn here is based on AUDIENCE PSYCHOLOGY and ADULT LEARNING PRINCIPLES. 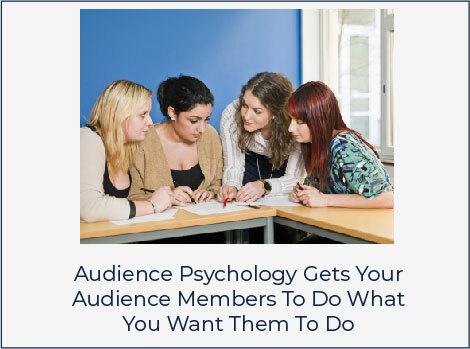 of what your audience members need, want, and like, along with why they do what they do is what you’ll use to connect with your audience members and help them solve the problems that brought them to you. EXCITED? YEARNING TO KNOW MORE? Steal my best ideas .. Choose a free gift from this page and then grab more ideas below. Ida, I was struggling with my presentation. Within a few minutes of talking with you, I knew my problem would be solved – quickly. 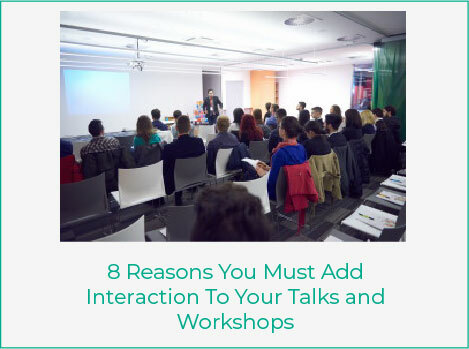 You were able to give a structure to my presentation as well as specific exercises that I could use to get my audience engaged. I’m proud to say that because of your suggestions, my presentation was a hit and my customer has asked me to come back next month. Thanks, Ida. You’re a genius! I have been studying with Ida Shessel and it has been an incredible journey! I have learned so much about creating engaging presentations and using special tools to help my participants actually retain what they learn. 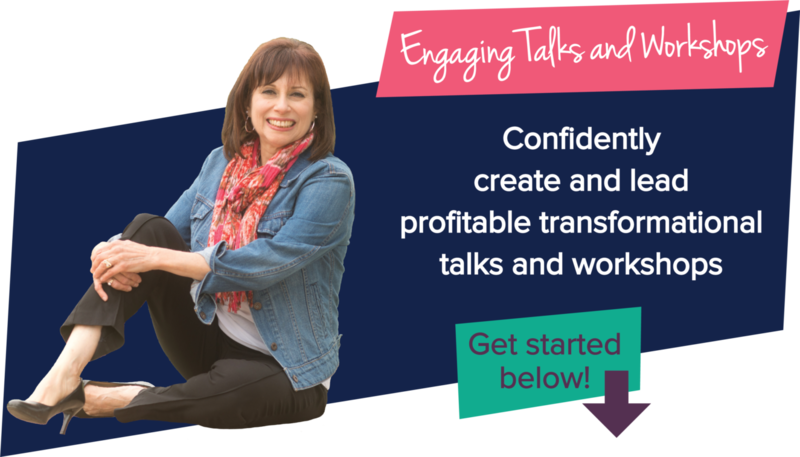 Because of the foundations I have built through Ida’s guidance and her road map, I can more easily put together a compelling presentation that is engaging, educational and fun. It seems that no matter how many times I go through the coursework, I learn something new each time. 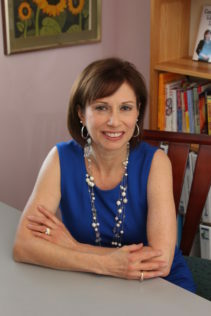 The high quality learning materials, the way the information is presented, and the passion that Ida has for helping her students has made her programs incredibly worthwhile. They have catapulted my business, my confidence and my presentations to the next level, and I know they can do the same for you. I highly recommend Ida’s programs to you. You will love them too!